This was a 3 days trip, unplanned and with no prior research about the place. Before going there I never heard people saying bad words about the island and was quite enthusiastic. Unfortunately it had transformed in a huge disappointment. Overall I found the place a tourist trap with sometimes nice landscape, too much corruption and hassle, overpriced and the most rude people we've seen during the trips to SE Asia. I'm not saying people shouldn't go but, for us, it became the only place we would never return to. 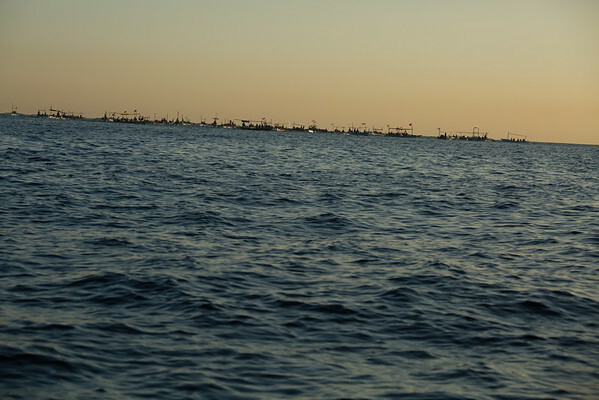 The boats are coming from several villages and all wait for the dolphins to show up.